SVVFD depends entirely on donations, fund-raising events, and grants to fund operations, fuel, safety equipment, maintenance and repair costs for fire engines, and patrol vehicles consume the majority of the SVVFD budget. Much of our personal protection equipment is old and in rough shape, forcing our volunteers to pay for equipment themselves. Donations are greatly needed for SVVFD to purchase new equipment to issue to volunteers who work to protect us, our property, and critical power grid, reservoir, and critical infrastructure in our service area. 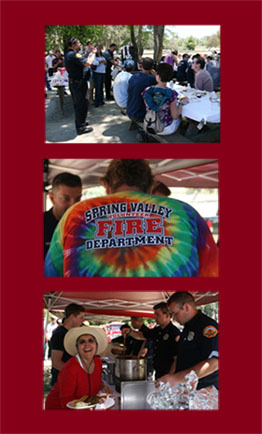 Special events are posted to the SVVFD Facebook site, described in SVVFD newsletters, and coordinated via email.